We love a live event here at Eventbrite: and getting together around live music is undoubtedly one of our favourite past times. 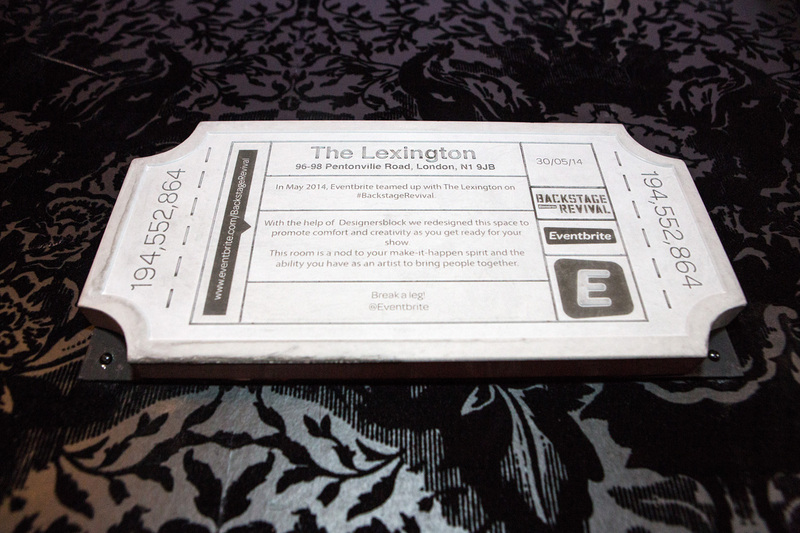 Which is why we were so excited to work with one of the most celebrated music venues in London, The Lexington. It’s a venue that fiercely supports the independent music scene, is renowned for some of the best gigs in London and has seen everyone from Yeasayer, Sleigh Bells, and Black Mountain take to the stage. The backstage area of most live music venues are pretty notorious for being dark, dingy and having an array of rude images and scrawls on the walls. 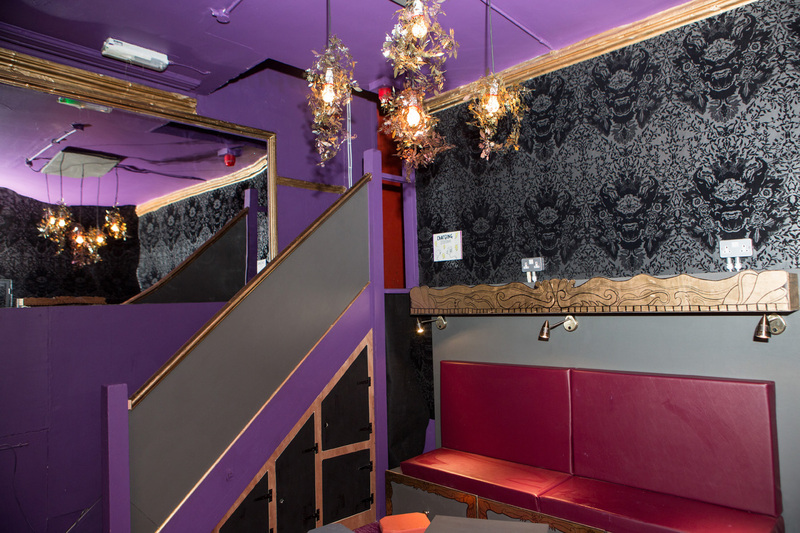 So we worked with Designers Block and The Lexington to completely revive the area so that artists have a memorable experience before they go on stage to perform. 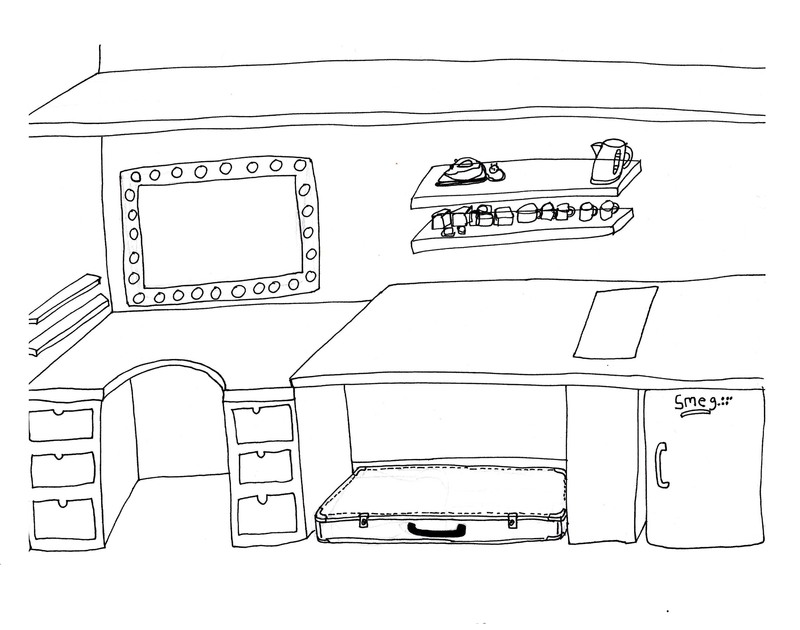 The general layout has been re-imagined to maximise space with the all important fridge for refreshments; a vanity area with mirror and lighting; booth style seating for relaxing; storage for guitars and private lockers. The walls are adorned with a provocative and detailed design, which is also calming and pleasant to be around - this was especially chosen from Scottish design studio, Timorous Beasties, whose London Showroom is just around the corner from the Lexington. The lighting gives a touch of glamour, with a small array of Garland shades from Studio Tord Boontje - and also offers different lighting options depending on time of day. Graphic Relief are known for big exterior architectural projects and retail design, for this project they worked on a very small scale to create a commemorative plaque based on the ticket that every Eventbrite user sees when they go to an event. Shannon and the Clams were the first band to try out the revived backstage at The Lexington. 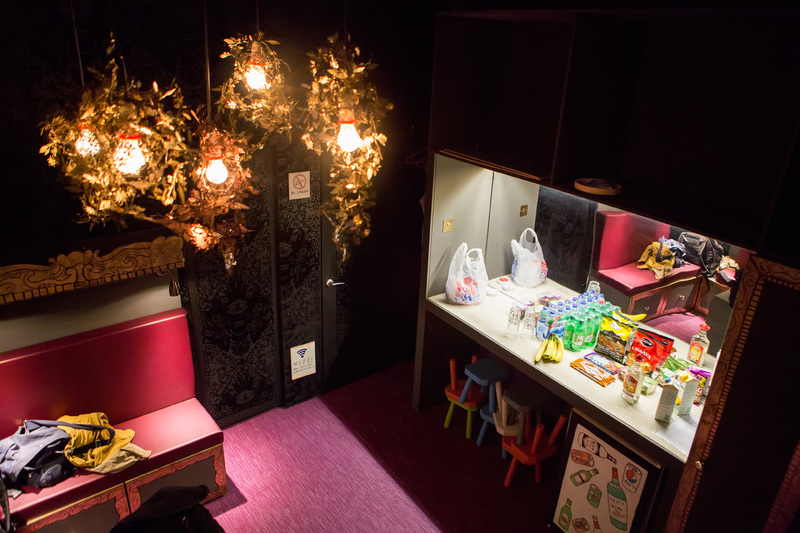 “We know that the backstage area these artists hang out in are usually pretty grotty so having a fresh space is something that sets us apart as a venue; it's also in line with our ethos of providing artists a great experience when they perform here. We already have the best crowds in London, now we’ve got the most memorable backstage are too."